The new French prime minister has announced a commitment to implement new president François Hollande’s pledge to equalise the laws on marriage for gay and straight couples. It will also allow gay couples to adopt children for the first time. 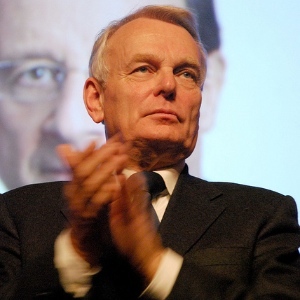 A communiqué issued by the office of the prime minister, Jean-Marc Ayrault, who took office on 15 May, marked the International Day Against Homophobia and Transphobia yesterday with a pledge to put the president’s manifesto promise into law. It said: “On the occasion of International Day Against Homophobia and Transphobia, the Prime Minister reaffirmed the Government’s commitment against violence and discrimination perpetrated as a result of sexual orientation or gender identity. While gay and straight French couples can currently enter Civil Solidarity Pacts, PACS, though only straight couples can marry. Though affording many legal protections, a PACS does not give couples the right to joint adoption or artificial insemination. A case at the European Court of Human Rights this year determined that the system was not discriminatory to a lesbian couple as straight couples are also eligible for the union. In line with previous decisions, the court did not determine that there was a Europe-wide right to marriage equality for gay couples, leaving the issue to the French authorities. During his unsuccessful election campaign last month, former president Nicolas Sarkozy had reaffirmed his views of the family as being necessarily heterosexual, saying he would not go so far as to make a law stating that a gay relationship is the same as a straight one in which children are able to be conceived, as that was not his understanding of a family.